The BSE Sensex closed 373.06 points, or 1.07%, up at 35,354.08, while the Nifty 50 ended 101.85 points, or 0.97%, higher at 10,628.60. The BSE Midcap index was up 0.06%, while the Smallcap fell 0.15%.Fourteen out of the 19 sectoral indices on BSE advanced led by FMCG, which rose over 2. Auto, bankex, IT and teck rose around 1%. 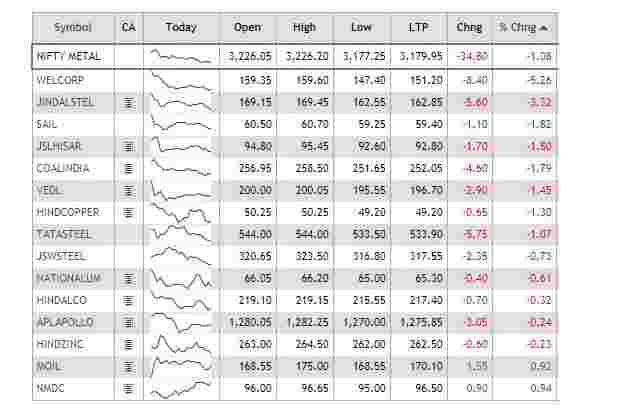 Metal, healthcare, basic materials, telecom and oil and gas declined.Hero MotoCorp, Hindustan Unilever, Wipro, Asian Paints and Axis Bank were among the top gainers on the key indices, whereas Yes Bank, ONGC, Sun Pharma, Vedanta and Coal India among major losers. HEG said its board of directors approved a proposal to buyback upto 1,363,636 shares, or 3.41 % of the total equity share capital of the company, for an aggregate amount of upto Rs 750 crore. HEG shares traded 0.35% up at Rs 4366 per share. The BSE Sensex traded 316.62 points, or 0.91%, up at 35,297.64, while the Nifty 50 rose 78.55 points, or 0.75%, to 10,605.30. The BSE MidCap and SmallCap indices were down 0.09% and 0.22%, respectively.Among the sectoral indices on BSE, FMCG gained most at 1.85% followed by telecom, bankex and teck, which rose over 1%. On the other hand, metal fell over 2%. Healthcare, power and utilities also declined. Hotel Leelaventure shares hit a 20% upper circuit to trade at 10.62 per share after the company said it is evaluating various offers that could add value to the company. It, however, added that it does not have any binding contract with any investor as of now. The clarification came after the Financial Express reported that Thailand-based Minor International plans to buy a majority stake in the company for $350 million..
Alembic Pharmaceuticals Ltd said its joint venture Aleor Dermaceuticals has received approval from the USFDA for its abbreviated new drug application Lidocaine ointment USP, 5%. The approved drug is therapeutically equivalent to the reference listed drug product Xylocaine ointment, 5%, of AstraZeneca. Alembic Pharma shares traded 0.14% up at Rs 560.75 per share. Lupin has received approval for its Clomipramine hydrochloride capsules USP, 25 mg, 50 mg, and 75 mg from the USFDA to market a generic version of SpecGx LLC’s Anafranil capsules, 25 mg, 50 mg, and 75 mg. Lupin shares traded 0.27% down at Rs 848.50 per share. The BSE Sensex traded 75.54 points, or 0.22%, down at 34,905.48. Intraday, the 30-share index rose to a high of 35,184.93 and hit a low of 34,896.07. The Nifty 50 fell 28.25 points, or 0.27%, to 10,498.50. 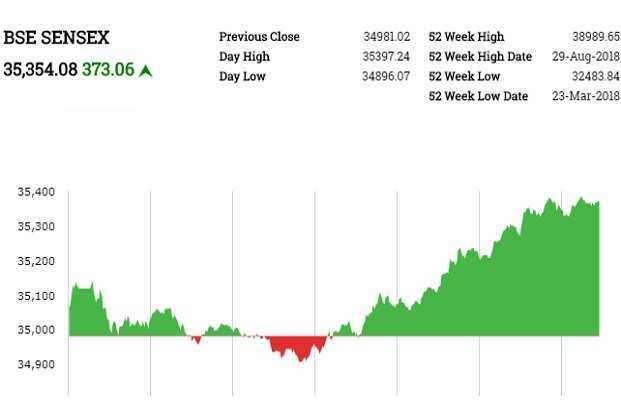 The 50-share NSE Index hit a high and a low of 10,584.95 and 10,489.75, respectively.Bharti Airtel, Asian Paints, Hindustan Unilever, Axis Bank and HPCL were among the top gainers on the key indices, whereas Yes Bank, ONGC, Vedanta, Tata Steel and NTPC were major losers. 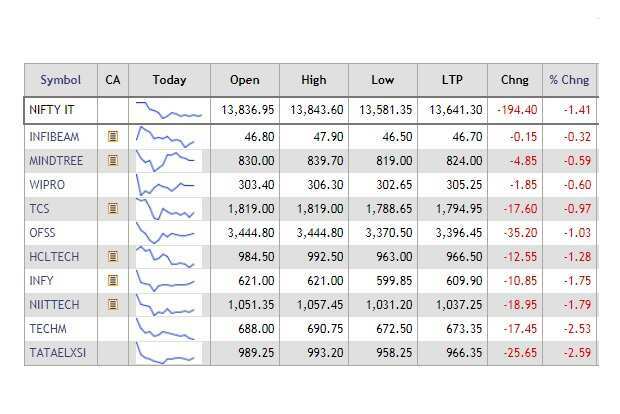 Shares of metal companies traded lower today, with the Nifty Metal Index down over 1%, as metal prices fell amid weak demand in China. Steel-linked metals nickel and zinc lost ground as expectations of weaker demand from Chinese mills dented prices, reported Reuters. All other base metals fell amid caution ahead of trade talks between United States President Donald Trump and Chinese President Xi Jinping later this week.Shanghai zinc hit a two-month low of 20,330 yuan a tonne, while London zinc was down 0.46% at $2,507.5 a tonne. London nickel traded 1% weaker and Shanghai nickel dipped 0.3%. Shares of IT companies declined today as the Indian rupee advanced for the eighth session and hit a three-month high. At 10.12am, the rupee traded at 70.42 a dollar, up 1.07% from its previous close. The Nifty IT Index was down nearly 1.5%, dragged mainly by Tech Mahindra, Infosys and HCL Tech. Shares of oil marketing companies Hindustan Petroleum, Bharat Petroleum and Indian Oil rose around 4% as crude oil prices traded below $60 per barrel. BPCL shares rose as much as 3.8% to Rs 332.90 per share, HPCL gained 4.1% to Rs 253 per share and IOCL advanced 3.5% to Rs 143.15 per share. Oil prices won back some ground after hefty losses on Friday, but remained under pressure with Brent crude below $60 per barrel amid weak fundamentals and struggling financial markets. Front-month Brent crude oil futures were at $59.20 per barrel, up 40 cents, or 0.7%, from their last close. Shares of Bharti Airtel rose as much as 3.14% to Rs 338.25 per share after Bloomberg reported that the Airtel Africa Ltd has appointed J.P. Morgan, Citigroup, BofA Merrill Lynch, Absa Group Ltd., Barclays Bank PLC., BNP Paribas, Goldman Sachs International and Standard Bank Group for its planned IPO. Yes Bank shares fell as much as 4.85% to Rs 186.05 after a news report that the investors debate about the fate of mutual fund holdings of the debt issued by two promoter companies after the bank’s stock price halved from its peak in August. The Indian rupee strengthened for the eighth straight session on Monday to hit a fresh three-month high against the US dollar after crude oil prices dropped below $60 a barrel, easing worries over the current account deficit and inflation. At 9.13am, the rupee was trading at 70.39 a dollar, up 0.46% from its Thursday’s close of 70.70. The currency opened at 70.52 a dollar. 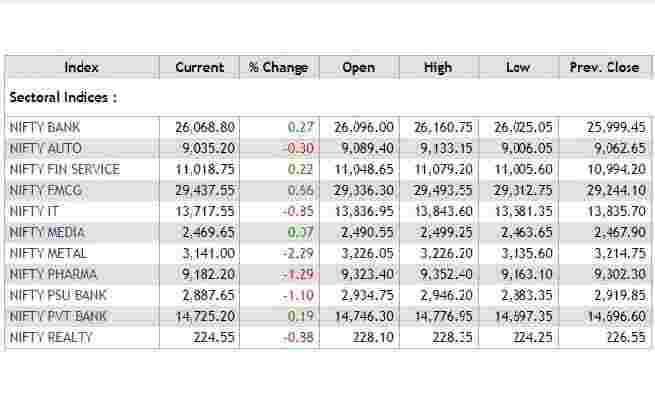 Markets were closed on Friday due to Guru Nanak Jayanti. The 10-year government bond yield stood at 7.681% from its previous close of 7.711%.